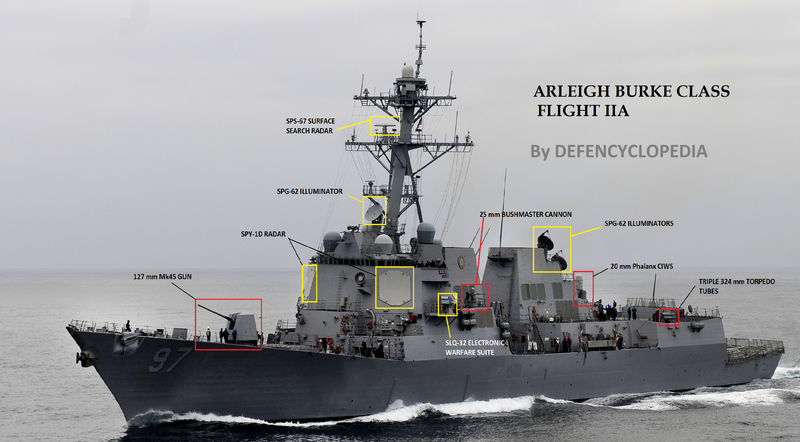 The US Navy was the first navy in the world to develop a comprehensive ship-based air defense system, the AEGIS, which consisted of powerful electronically scanning radar panels fitted to their destroyers and cruisers and a series of medium to long-range Surface to Air missiles (SAM). This was mainly designed to protect the US carriers from missile attacks. The European nations also picked upon this concept later and introduced their own air defense destroyers with similar capabilities. The most famous American destroyer in this category is the Arleigh Burke class and the famous European counterpart is the British Type-45 Daring class. Both the American and British navies claim that they possess the most powerful air defense ships in the world. That’s why we will place special emphasis on the Anti-Air warfare capability of these 2 ships in this article. Also, these ships have additional capabilities other than air defense. Let us examine in detail, the strengths and weaknesses of each ship and its systems. This article is meant to give you a general idea of the capabilities, strengths, and weaknesses of both these wonderful warships. We will deal with the Arleigh Burke Flight IIA in this category as it comes equipped with helicopter hangars and other minor improvements. The design is carried over from the Flight I with several improvements. It displaces 9200 tons and houses 2 VLS farms, a 32 cell one at the fore and a 64 cell one at the aft. The Mk41 VLS is a universal VLS and can accommodate a huge variety of missiles for various purposes. The design is a very stable one and incorporates a lot of modifications from its predecessor Ticonderoga class which was criticized for being top-heavy. 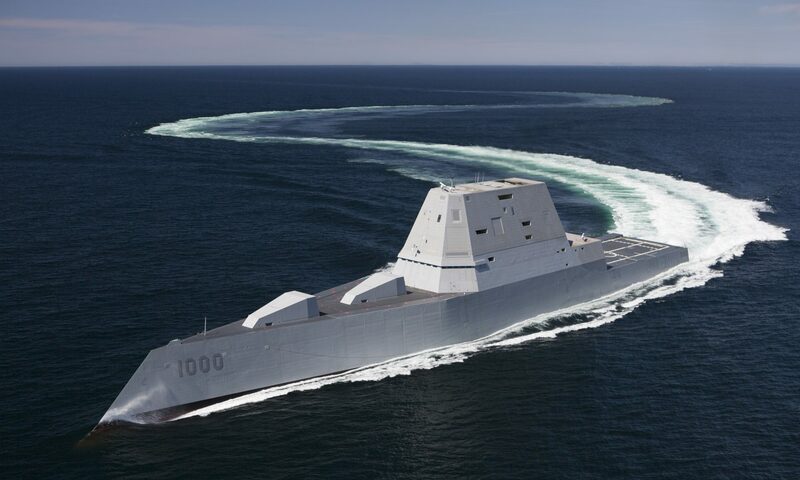 The superstructure uses angled shaping to deflect radar and reduce RCS although the deck remains slightly cluttered. Every inch is packed with weapons and sensors which leaves no room for major additions in the future. But the Mk41 VLS ensures that any future missile can be launched from it. The flight III will incorporate modular design which will facilitate major upgrades and additions. Burkes have a gas turbine propulsion system. Each ship is powered by 4 x LM2500 gas turbines, each generating 19,800 kW. Total output: 79,000 kW. It has a range of around 10,000 km at a speed of 18 knots. The 8500 ton Daring class destroyers are the largest surface combatants in the Royal Navy. 6 ships were built to replace 12 Type-42 AAW destroyers. Each Type-45 is equal to 4 Type-42 in terms of effectiveness. It uses a very modern and sleek design with sloped sides and a superstructure designed to deflect radar and greatly reduce the RCS of the ship. It is said that the Type-45 class ships appear as small as a fishing boat on radar. All the weaponry is concentrated in the foredeck and the aft contains the volume search radar and helicopter hangar and deck. Their main offensive weaponry is the 48 cell A50 vertical launch system which is fitted on a slightly elevated platform and visible distinctly. The Type-45s have a very advanced Integrated Electric Propulsion (IEP) system. It consists of diesel-electric propulsion combined with gas turbine propulsion to achieve maximum power and efficiency. Each ship is powered by 2 × Rolls-Royce WR-21 gas turbines, each generating 21,500 kW and providing maximum efficiency by incorporating compressor inter-cooling and exhaust heat recovery, which makes it more efficient than contemporary gas turbines. 2 × diesel generators of 2 MW each, generate electricity to power 2 × electric motors of 20 MW each. Total output: 45,000 kW. This gives the ships a range of over 13,000 km at a speed of 18 knots. RATINGS: Burke gets 10 points for design and 7 points for its propulsion system. Type-45 gets 10 points for design and 10 points for its propulsion system. This category will examine in detail, the primary and secondary radars of both the ships which are involved in target search, track and missile guidance. 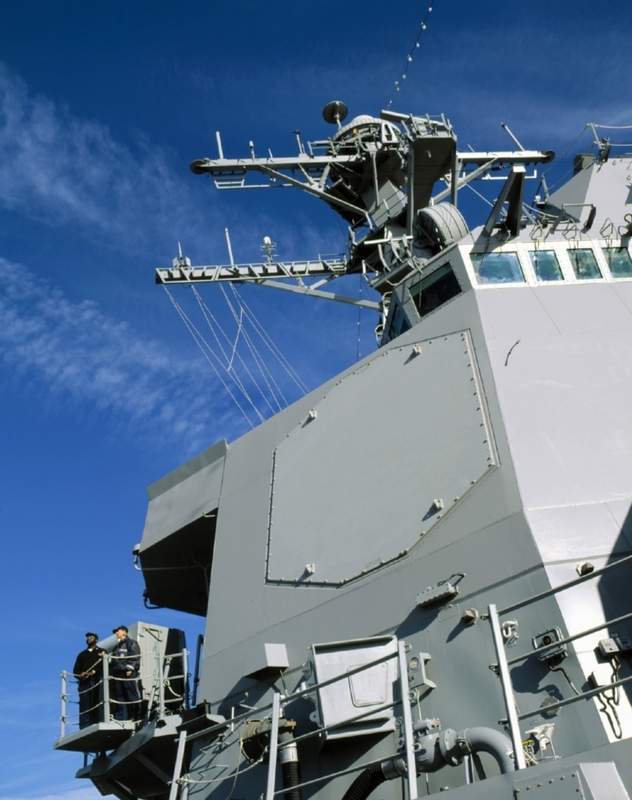 The Burkes are fitted with the SPY-1D Passive Electronically Scanning Array (PESA) radar as a part of the AEGIS combat system, which has set the benchmark for naval radars since its introduction. When they entered the scene in the late 1970s and became the standard by the 1980s, they were unmatched by any system in the world. Constant upgrades have ensured that AEGIS is the best networked system in the world. The SPY-1D radars are extremely powerful and can search and track targets over 350 km away. It was designed to operate as a part of a battle group and handle saturation cruise missile attacks with data from early warning radars and other AEGIS-equipped warships. Of late, the primary role of these ships has shifted to ballistic missile defence (BMD) using the SM-3/6 SAMs. Overall the AEGIS is the most mature combat system in the world. SPY-1D however doesn’t provide target illumination or fire control for the SAMs carried on board and it is up to the 3 mechanically scanning SPG-62 illuminators to provide them. This is an inherent drawback as it cannot guide a large number of SAMs at once, whereas an AESA fire control radar can guide up to 32 missiles at once. Though it has been upgraded,SPY-1D PESA still can’t compete against the modern AESA radars fielded by many navies. This is being rectified by the new AMDR which will be fitted on the Flight III Arleigh Burkes and will allow it to reclaim the top spot in naval radars. The X-band radar which will be added will allow high resolution scanning, thus enabling Flight III Burkes to detect stealthy sea skimming missiles from over 40 km away. CGI of Burke Flight III with Air and Missile Defence Radar (AMDR). It will be an unbeatable radar system by combining X-band and S-band for unmatched coverage when it enters service. The 2 radars on this ship are undoubtedly the most distinct piece of equipment visible. 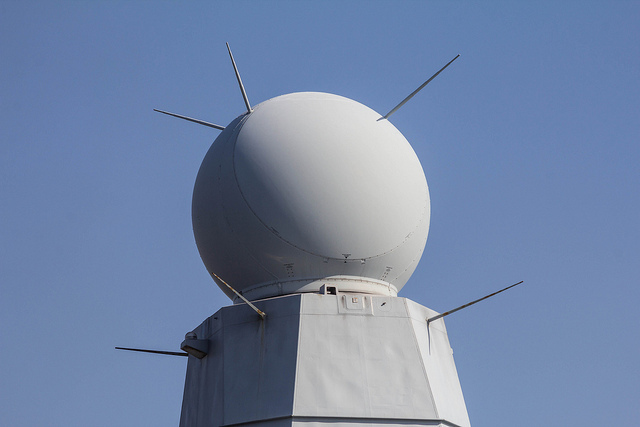 The Sampson multi-function Active Electronically Scanning Array (AESA) radar is a two face rotating radar, enclosed in a spherical radome and placed high up in the mast. This radar has a range of around 400 km and can search and track hundreds of objects at once. The Royal Navy claims that it can detect a cricket ball at several hundred km distances, which indirectly suggests that it can detect low RCS stealth aircraft/missiles from a long distance. This radar has only 2 rotating faces when compared to the 4 static faces on the Burke. But this mount rotates at a speed of 60 RPM which means that nearly continuous coverage is provided, with less than a second of delay which can also be overcome by steering the electronically scanning beams. Other 2 faced radars rotate at just 15-20 RPM, so the Sampson despite having 2 rotating faces, can match the 4 faced AN-SPY1 radar on the Burke which scans 360° continuously. This is the main radar for the Principal Anti-Air Missile System (PAAMS) which consists of the Aster family of SAMs. This radar is placed at twice the height of the radar SPY radar on the Burke. This gives it a large advantage in detecting sea-skimming targets at longer distances when compared to the Burke. The Sampson can engage 32 aerial targets simultaneously with the Aster SAMs. This is the benchmark in saturation air defense. The secondary radar is the L-Band Thales S1850M AESA volume search radar which has a range of 400+ km. This radar is, technically speaking, not an absolute necessity on this ship as the Sampson can perform all its tasks. But, the reason why it is used is to share the workload in an operation heavy and high threat environment. The Sampson, being an AESA radar can search and track targets and simultaneously provide fire control to the PAAMS. But doing this means that only a small number of beams and channels are allocated for targeting and fire control as long-range searching consumes most of the power and requires a large number of electronically scanning radar beams. Hence the S1850M takes the role of long-range volume search and frees up the multi-function Sampson for tracking and fire control duties. Having a bigger antenna face than the Sampson, it can concentrate more power in a single direction and at longer ranges. The L-band frequency is specifically chosen for volume search due to its ability to travel longer distances than S-band. This means that the Sampson can use its max power to guide a large number of SAMs to deal with saturation attacks. It can switch between hundreds of RF channels during this process which makes it nearly immune to jamming. This is performed while the S1850M scans the sky for further targets. Hence the secondary radar enables load sharing and prevents the primary radar from saturating its capabilities. This gives it a major advantage over the Burke. And since both radars scan in different bandwidths, it allows for a wider coverage of the electromagnetic spectrum which gives it an edge over the Burke, especially when detecting low-RCS objects. Also, the L-band offers extremely long range search & tracking compared to the S-band, which further puts the Type-45 ahead. RATINGS: Burke gets 5 points for its primary radar as it is a PESA and 2 points for its mechanically scanning illuminators. Since it lacks a secondary volume search radar and the primary radar has to do both tasks, it gets a lower overall rating in this category. Type-45 gets 5 points for its primary radar and scores 5 points for its powerful secondary radar. The Burke is the undisputed winner in this category before I even start writing. These ships have fired hundreds of Tomahawk missiles in combat successfully and demonstrated their exceptional capability to attack land targets at distances of over 1500 km. If needed, all 96 cells can carry Tomahawk cruise missiles. 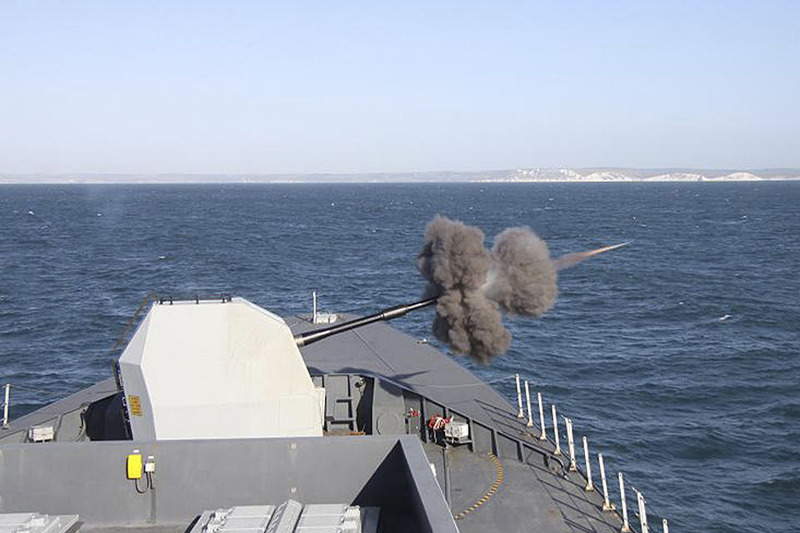 A Mk45 127 mm gun is used for engaging surface targets and to provide naval gunfire support. 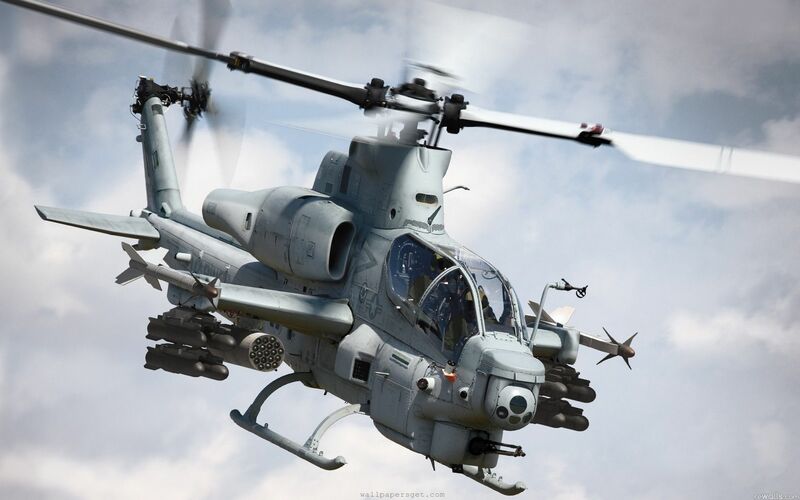 It also has 2×25 mm Mk38 Bushmaster guns which can be remotely or manually operated and are used for engaging small surface craft like pirate boats. A Mk-45 Mod.4 naval gun fires a shell during a live-fire exercise. This gun can fire 20 rounds per min. Each ship has the capacity to carry 8 Harpoon Anti-Ship missiles, but most of them don’t embark these missiles when operationally deployed as the US Navy has entrusted surface warfare primarily to their aircraft carriers and submarines. The Burkes are for land attack and gunfire support in the surface warfare role. However, their policy seems to be changing because they are deploying the Tomahawk Blk IV and have a new AShM in development which can be launched from the Mk41 VLS. The latest Blk IV versions have the capability to engage enemy warships at 1000+ km using mid-course navigation updates. 2 quad Harpoon missile launchers on a Flight I Burke. Flight IIA also has the same layout. The surface warfare capability of the Daring class is negligible when compared to the Burke. It’s because it was never designed for this role. The Royal Navy wanted a pure Ant-Air Warfare destroyer with some surface warfare capability. For that, it carries 8 Harpoon Anti-Ship missiles just behind the battery of 48 Aster SAMs. These missiles with their 120+ km range can engage enemy warships, but they are not fitted as a standard on all the ships of the class. Presently only 2 ships are equipped with Harpoons. The remaining 4 will be fitted with harpoons only if the need arises. There’s a BAE Mk8 114 mm gun which is used for engaging surface targets and also for shore bombardment during amphibious landings. 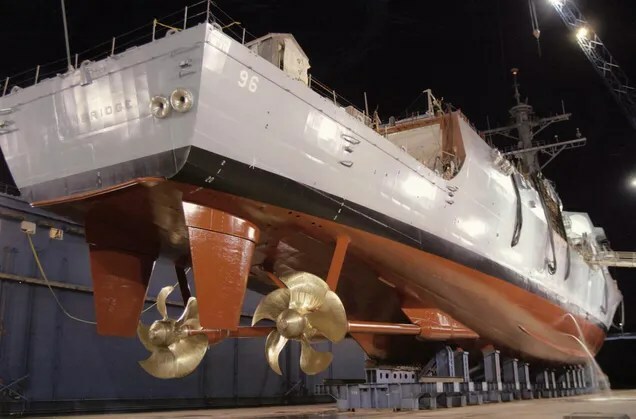 But a destroyer like this will never be deployed for naval gunfire support during landings, and the main gun will be used only against enemy ships and for firing warning shots. There are also 2 x 30 mm Bushmaster cannons which are mainly used to engage small craft and are very handy in littoral environments and during anti-piracy patrols. Overall, its surface warfare capability fits in the RNs policy and their next-gen Type 26 frigates will be surface warfare oriented. 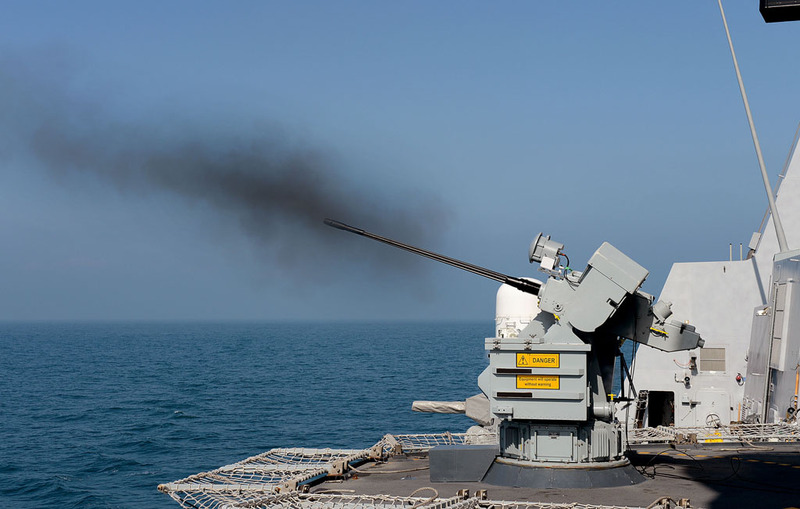 HMS Dragon fires her 30 mm gun during trials, prior to deployment in the Persian Gulf. The second part of the article will cover Anti-Air warfare, Anti-Submarine warfare, and other categories. It will also feature the final rating chart to decide who wins overall. It has already been published. Click the link below to read the second part. Enjoyed the first part? 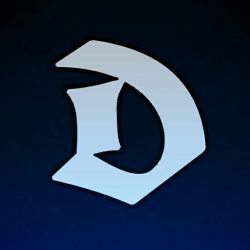 Rate it below. Total output: 83,000 kW, as you stated. 2 × diesel generators of 2 MW each, generate electricity to power 2 × electric motors of 20 MW each = 40 MW. Plus the 43 MW from gas turbines. You forgot to consider the motors. how do you get Total output: 83,000 kW????????? My bad. I have corrected this mistake. It was a an oversight. Thanks for pointing it out. 3. After spending $1.42 billion? These comparisons could be seen as brochure wars – BUT would have had much more weight if these well-reported issues were also highlighted. your own link regarding the EW jamming of the cook, says the russians are full of BS. This is so biased towards the type 45. Flight IIA Burkes cannot carry Harpoons. Only Flight I and II Burkes retain that capability. Starting with DDG-79 (first IIA) the Harpoon launchers were removed.